Let’s get real. To any mom who’s ever breastfed, at least initially, it’s anything but simple. Well, to your body, it is simple. The basics of breastfeeding all lie in one thing – supply and demand. 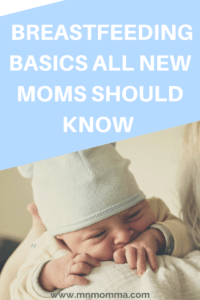 If you’re hoping to increase your supply or even just understand breastfeeding better – you need to know the basics. As an RN who’s worked in labor and delivery, I can’t tell you how important this concept is. In order for your body to be able to make more breast milk, something has to stimulate it. At the initial start of breastfeeding at birth, or lack thereof, your body creates milk due to different hormones in your body. This is the ONLY time your body will make milk without some sort of “demand”. Your body cannot and will not just make breast milk on its own after this point. This is why, if you choose not to breastfeed, after your milk has gone away initially, it shouldn’t come back. This is also why, if you choose to breastfeed and it gets difficult (and you still want to do it), you can’t just give up or skip a feeding. This is signaling your body to make less milk. When your baby is breastfeeding, regardless of how much he or she is getting, they are creating a demand on your body. Your body then makes more milk to meet the demands of your baby. If you want to make more milk, more demand must be created through an increased number of nursing/pumping sessions and length of time. If that was a little bit difficult to understand, it’s okay. Let’s try this scenario to better understand supply and demand. Imagine you go to a lemonade stand for a refreshing drink. It’s hot and the line is down the street. The workers run out of lemonade, but know the line was long and that they need to make more. As a result, the children at the stand make more lemonade the next day to meet the needs of those in line. The children will continue making this increased amount of lemonade as long as the line continues to have the same number of people. A baby may continue to nurse, even when the mother’s milk is empty. As a benefit to your body, this continued nursing causes the body to make more milk for the next time the baby eats. Now imagine it’s a cold day and only 3 people go to the lemonade stand. They make too much lemonade and have to throw some of it away. As a result, the children at the stand make less lemonade the next day to prevent wasted product. The children will continue making this decreased amount of lemonade as long as the line continues to have only a few people in it. If a baby nurses less frequently or a mom does not pump as often as her baby would eat, the body believes that less milk is needed. A pattern that continues like this will cause the mother’s milk supply to decrease. This is why it’s key to always make your pump “dates” with yourself. 1. If I wait longer to pump or nurse, I’ll have more milk. While it does take your body a little bit of time to make more milk – this isn’t true. 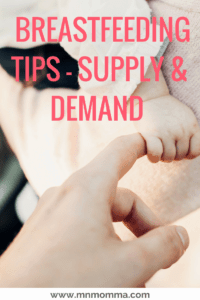 By following what we’ve learned about supply and demand you know that waiting to pump is only telling your body that your baby doesn’t need the milk. Therefore, it’s telling your body to make less milk. If you pump more often, or for longer, you are telling your body to pump more milk. If you’re looking for ways to increase your milk supply, check out 6 Ways to Increase Your Pumped Milk. 2. I don’t think my baby’s getting enough milk – I should supplement with formula and try again later. Unless otherwise directed by your doctor, this isn’t true! If your baby needs more milk than you are producing, they need to keep trying to eat in order to stimulate your body to make more milk. In the early days your baby needs very little milk, their stomach is only the size of a marble! The more they nurse and attempt to get milk, the more milk your body will produce. If you supplement frequently, without adding a pumping session, you should expect that your milk production will decrease. If you are concerned your baby isn’t getting enough, check with your doctor. A baby should have several wet and poopy diapers a day and be gaining weight. 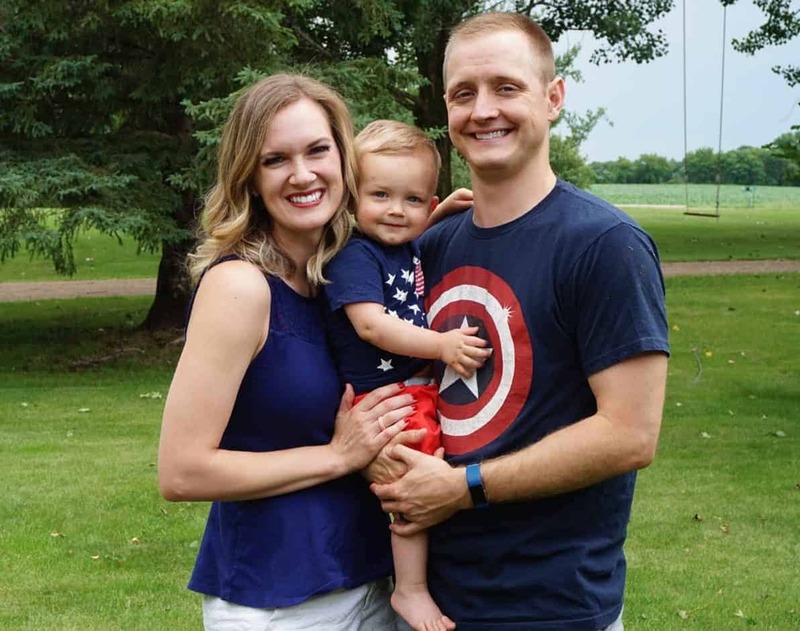 If you don’t want to have to go to the clinic every time you want to have your baby weighed, be sure to use this easy trick. Stand on the scale yourself, get your weight, then pick up your baby and stand on the scale again. The difference is your baby’s weight. This easy trick will help put your mind at ease if you just can’t help but wonder about your little one’s weight. I really like the Etekcity Digital Body Scale. It reads your weight quickly and accurately, is digital, and sits at a really reasonable price. Amazon even ranks it as a best seller. 3. Once I return to work, I have to stop breastfeeding. Definitely not true! If you choose to stop, by all means , you need to do what’s best for both you and your baby. But, if you want to keep nursing and giving your baby breast milk, it’s completely possible. Just make sure you’re creating the same supply and demand schedule your baby would normally. If your baby is having a bottle at daycare at 10 am, try to pump at the same time at work. If you notice you’re not getting as much from your pumping sessions as you’d like – try to add a pumping session into your day. If that’s still not doing the trick try the other methods in 6 Ways to Increase Your Pumped Milk and 4 Tips to Pump at Work Like a Pro. After covering how breastfeeding supply and demand works, let’s talk about how to make it really work for you! Breastfeed or pump on demand. When your baby is hungry, don’t wait to feed him or her even if it hasn’t been 3 hours. Let them eat and allow your breast milk supply to increase due to their desire for more milk that day. Keep your pumping dates with yourself – it’s important for you to have time to relax and pump breast milk for your baby. Do your best to avoid supplementing if you’re able. This will help build your supply. If you want to increase your milk supply 100% naturally, add a pumping session to your day or during the night to create more demand. 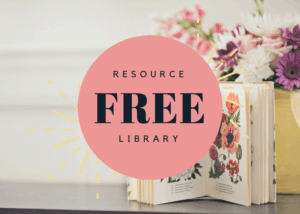 Be sure to sign up for the resource library to get your FREE milk inventory log, along with many other great momma resources. If you’re interested in an at home breastfeeding class – I recommend Milkology‘s class for only $19. The course is all online and is 90 minutes if you watch it all. If it’s not for you, it includes a 30 day money back guarantee!